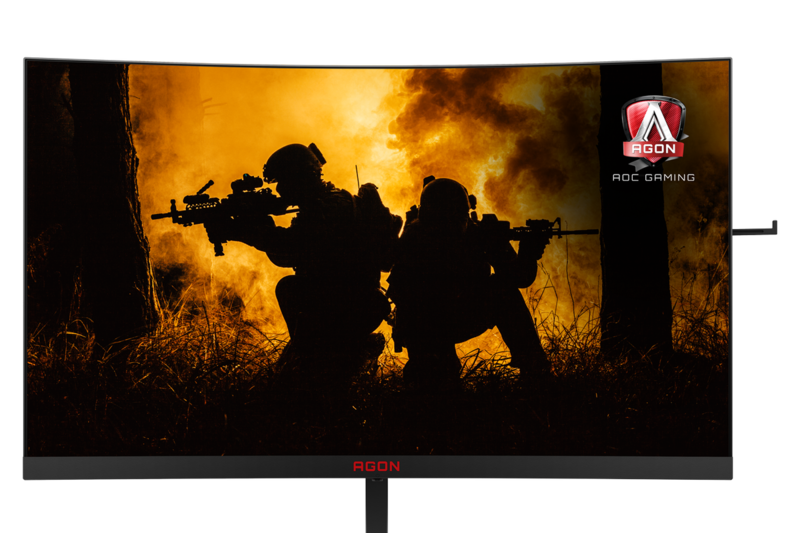 AOC launched two new 27-inch curved gaming monitors today as additions to its premium line. 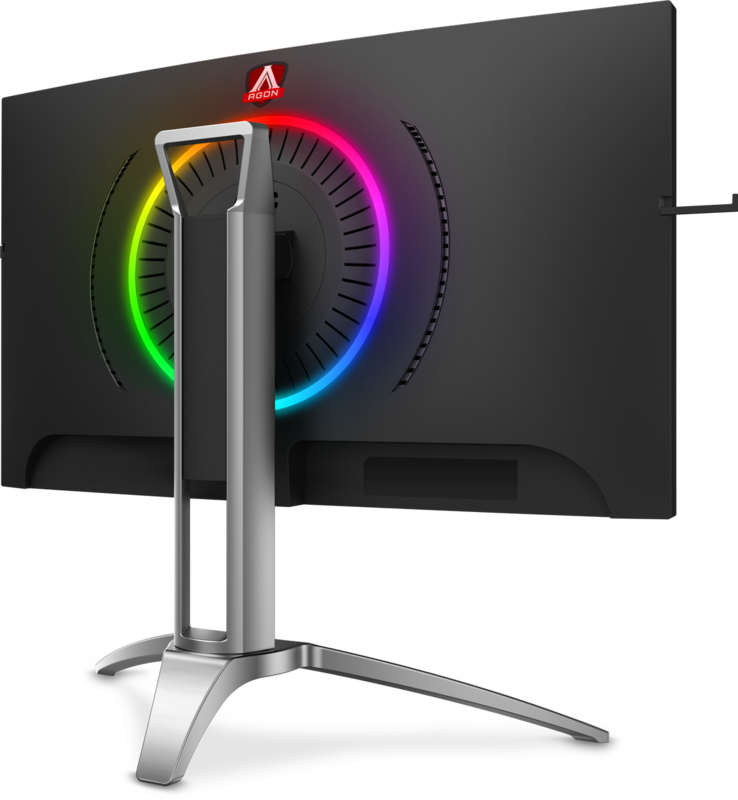 Curved monitors might still be an added expense that makes gaming more immersive for some and seems pointless for others, but AOC’s new offerings today expand the market a bit. More importantly, they deliver fast refresh rates, quick response times, and other gaming-centric features. The AG273QCG is a gaming monitor with a 2560×1440 Quad HD screen boasting a refresh rate of 165Hz, 1ms response time, and support for Nvidia’s G-Sync. It costs $650 and is available from Amazon and Newegg. The other monitor, the AG273QCX, has a VA panel and shares the same screen resolution with a slightly lower max refresh rate of 144Hz. (The response time is still 1ms.) It supports AMD’s FreeSync2 technology to prevent screen tearing and for HDR color output. It’s priced at $500. The monitors each have a ring of RGB LED lights around back so you can illuminate the wall behind them a bit. The rear of the AG273QCX. Aside from greater immersion, AOC claims that the curved screens help reduce eye fatigue. The monitors also include some of the brand’s monitor technology like increased contrast in darker, shadowy gaming scenes, and they regulate brightness through the backlight system to minimize eye discomfort.